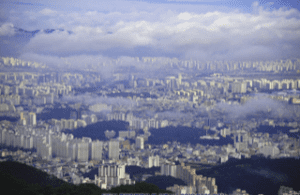 Welcome to Tony Goodwin’s Gwangju Blog. Here you can keep up to date with all the relevant information and interesting facts whilst you plan your trip to Gwangju in August 2019. Thank you to Maciej Slugocki (MST Treasurer and MST Delegate) who has created a word document to assist you with enquiring and making a booking for the Village. Use this in conjunction with the Accommodation booklet Blog 2. As many of you will be in the Open Water and it is so far from Gwangju, as well as a number of other problems, this has arrived from FINA to add to your woes. Open Water Swimming Events: OWS competitions will start at 9:40 AM (same for the 3 days of competitions) – athletes will need to get there by 7:30 in the morning. Which solution would participants prefer? Please ask within you communities and we will set up shuttle buses should open water swimmers prefer this option. Membership CertificatesIt will be necessary to provide proof of Masters Swimming Australia membership at the FINA Accreditation point in Gwangju. Please contact MSA now to organise one if you are going to Korea. It is wise to get this done early. You will not be able to swim without it. Masters Swimming Australia was overwhelmed by the response we received from the call out for an Australian Ambassador to the Fina Worlds Masters Championships in Gwangju in August 2019 that was requested by Fina Marketing. All the applicants demonstrated how passionate they are about Masters Swimming, their own quest for success in Masters competitions and their interest in the success of the upcoming Fina Championships. This response made it very difficult to make a selection of just one person, so we convened a face to face meeting to select the candidate. We are pleased to advise that the successful applicant is Tony Goodwin, from the NSW Manly Masters Swimming Club. Tony is one of Australia’s most successful athletes at a World Masters Level.. Having won ten gold medals and broken nine world records, He is continually reaching new heights when it comes to his performance in the pool; and was reported as saying “he does not want to hang up the goggles yet and is already looking forward to the next Masters Championships in Gwangju in 2019. 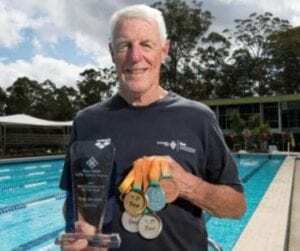 At the World Masters Championships in Budapest, Tony won gold in the 200m breaststroke for the fourth time in a row, as well as taking home three silver and a bronze. 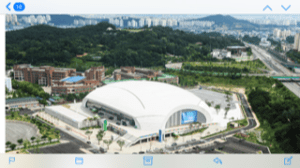 Tony will be helping share any official information about the FINA World Masters Championships Gwangju 2019 that will assist you in planning your travel. Australia traditionally has 100 plus swimmers enter the Meet, and as Sth Korea is our neighbour, we hope that that attendance will be as strong as possible in 2019. Welcome Tony – we look forward to sharing your insights and Fina information with everyone. Please also if you have anything to share email Tony (tonyandcush@gmail.com) or the MSA office. Blog 3 – It’s all about the FOOD!